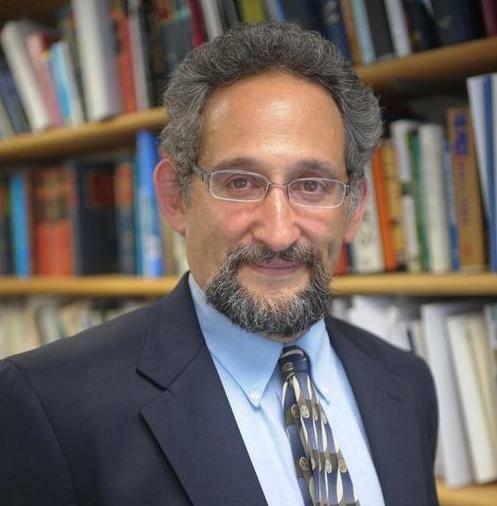 David M. Driesen, Professor at the Syracuse University College of Law, focuses on environmental law, law and economics, and constitutional law. Professor Driesen engages in public service mostly focused on defending environmental law’s constitutionality and supporting efforts to address global climate disruption. He has written numerous amicus briefs in Supreme Court cases and has represented then-Senators Barack Obama, Hillary Clinton, Joseph Biden, and others in Clean Air Act litigation in the D.C. Circuit. To learn more about Professor Driesen’s work visit his faculty profile. Each time we consider buying something new, such as a car, we calculate cost-benefit analysis in our minds. We compare the options available to us and, generally speaking, we think of the value we will derive from our purchase in the short-term. What’s the most affordable option I can find that will be durable enough to help me achieve my desired goal in the coming years? - Whether it be saving money on gas or taking a road trip across the country. We don’t often question whether our children’s children will benefit from our new purchases. Such immediate cost benefit analysis tends to work in our daily lives, but should it work in government regulation? In a new Journal of Corporation Law article titled “Legal Theory Lessons from the Financial Crisis” David Driesen, Professor at Syracuse University College of Law, explores the dangers of treating economic decisions like transactions. According to Driesen, allocative efficiency, in which regulatory decisions are made on the premise of seeking the best immediate cost-benefit, can lead to avoidance of systemic risks and colossal long-term consequences. Driesen points to the housing crisis as a recent example of allocative efficiency gone awry and the current environmental crisis as one area where a sustained cost-benefit approach could lead to irreparable long-term harm. Professor Driesen took the time to discuss his recent article and his work to address global climate disruption in the interview below! Can you tell me a bit about your work supporting efforts to prevent global environmental disruption, including representing then-Senators Barack Obama and Hillary Clinton in Clean Air Act litigation in the D.C. Circuit? I started out as a Clean Air Act attorney in practice. My work supporting efforts to address global climate disruption sort of grew out of an extension of my interest in international environmental law. In terms of representing then-Senators Barack Obama and Hillary Clinton, that came about because there was an issue with the Bush administration. They had all sorts of holes in what’s called a New Source Review Program of the Clean Air Act. In this case I really wanted the people in the senate who were supporting environmental protection to feel like they had a voice in court proceedings that affected their work. These folks were big supporters of the Clean Air Act. Many of them were trying to help get it passed, and all of them were involved in trying to keep it intact. So, I wanted to give them a voice in the court proceedings. These days, I don’t do a lot of Court of Appeals briefs, though I am doing one now actually. I do most of my work on Supreme Court amicus briefs, and usually in things of constitutional dimension. Your paper talks about why allocative efficiency doesn’t work as a goal for laws regulating complex systems. Can you explain how efficiency has been used as a goal in the past and why that’s not the best approach? In practice [efficiency] was really at the heart of decisions to deregulate the financial system. All sorts of decisions, which I detail in the article, were made saying “market actors are rational so this will be efficient.” That led to decisions like allowing adjustable rate mortgages, securitization of mortgages, tearing down the walls separating investment and commercial banking and so on. Most of these decisions in one way or another were rationalized on the idea that they’d be more efficient. And these are the decisions that made the financial crisis possible, so it’s very counterproductive. Really, efficiency doesn’t work very well and it’s not that important. Things are always inefficient - so what? But when things go disastrously wrong -when we don’t prevent a crisis, when we don’t prevent bad things from happening and we allow systemic risks to mushroom it becomes serious. That’s a problem the law really needs to cope with. The problem of achieving a balance between all cost-benefits is a mirage. How does the macro economic approach that you advocate for specifically apply to environmental law? It’s a big picture concept; it’s not like adopting it dictates exactly what you do. The way we need to look at a problem like climate disruption is to say - this is a systemic risk that will cause all kinds of havoc. The question we need to be asking is - how do we create a trajectory, which as quickly as possible, gets us away from this risk? It’s not about balancing costs and benefits at the margin, and it shouldn’t be. And so the real questions are: how do you get substitutes for fossil fuels going? How do you massively increase energy efficiency to make that a feasible project? Those are the big questions we should be asking. The regulatory systems tend to be asking - how much incremental progress can we make without costing too much? I think that that’s the wrong question. In your paper you use the language that “assumptions of rationality don’t work.” Can you explain what you mean by that? The criticism that I make, which has been made by others, is that the rational actor assumption is not a good one. I may take that a little further by saying in some contexts it’s disastrous because it draws your attention away from the most important thing, which is precisely that people are irrational. But the real new contribution in this paper is not that so much, it’s saying look, when the system is complex enough efficiency just isn’t an achievable goal for law no matter what assumptions you use. You just can’t do it. Partly because the systems are always changing, so any efficiency achieved will be short lived. So it’s too complex. And it’s not an institutionally appropriate role for law, because law is not a transaction–law is a framework. Can you explain more specifically how efficiency is treating the law as a transaction? A good example is in environmental law. The traditional purpose of environmental law has been to protect public health and the environment. And so [traditionally], we would more or less do what’s necessary to accomplish that. We might temper it a little bit by economic considerations, but we were basically just trying to make sure that people didn’t get seriously ill in large numbers and that the environment was protected. With the advent of cost-benefit analysis, there’s sort of a different way of thinking about this that law and economics has been heavily promoting. That’s the idea that you’re not preventing harms, you’re purchasing a benefit, the benefit of environmental protection. And you should pay only as much as that benefit is worth. And so, the goal is now to achieve a balance between cost and benefits, and that’s what I mean by treating it as a transaction. We change the concept of prevention to purchasing a benefit and making sure we’re not paying too much for it. I know you said that focus on cost-benefit analysis led to damaging de-regulation in the housing market. Do you think the economy remains too de-regulated? I think we’ve gone too far. I’ll give you an example in the environmental area. The climate crisis is the biggest threat that we’ve ever faced, and yet some decades after it’s become apparent that this is the most serious problem we have we are just beginning to take it seriously. We really haven’t gotten very far in addressing it. I can’t say that we’ve deregulated here, but I can say that the deregulatory sentiment that we’ve been living with has made it really hard to make progress. With the financial industry, obviously there has been some re-regulation since the financial crisis. But there are still holes in it, and still a lot of unwillingness to take steps that are needed because they might be inefficient. I am not saying that there’s no such thing as stupid regulation. I think there is. But in general, I think we’ve gone too far the other way. We've all heard the phrase, “people are creatures of habit.” It turns out that countries are susceptible to forms of path dependency as well. Scholastica is hosting a bar prep Ask Me Anything (AMA) event with Ashley Heidemann, founder of JD Advising. Attendees will have a chance to win free study tools. Learn more!